Explore the world’s most legendary recording studio. Abbey Road Studios has played host to the Beatles, Pink Floyd, the London Symphony Orchestra and other musical royalty, but fans have never been able to get past the gates—until now. 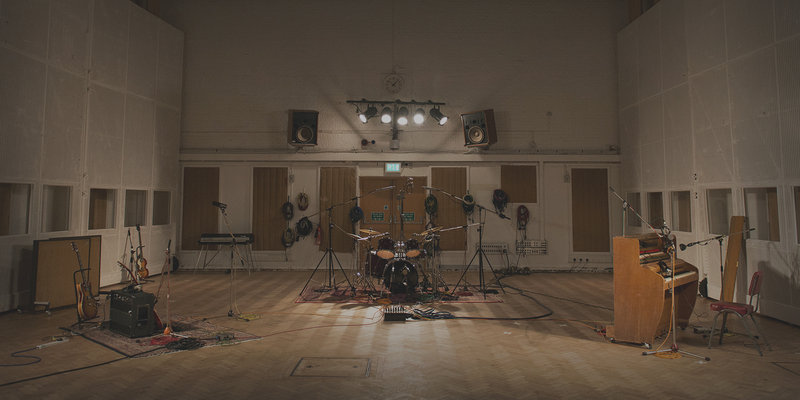 We partnered with Google to create an interactive experience that showcases Abbey Road’s incredible history, the legendary stories of the artists who have recorded there and the equipment and engineers who continue to break new ground in sound recording today. With the help of a LIDAR scanner, which measures distances using reflected lasers, we created a precise 3D model of the entire studio and textured it with thousands of high definition images. Inline video loops were also integrated into the panoramas, as well as binaural sound (positioned with Web Audio) specifically recorded to accurately recreate the unique characteristics of each studio. The site lets visitors explore the studios and control rooms with a level of detail impossible in traditional Street View implementations. They can browse Abbey Road’s famous microphone collection, watch the engineers at work and view historical photos and videos that are integrated at the exact angles at which they were originally shot. Original 360 degree video content also provides a behind-the-scenes look at the recording process. The experience also serves as an interactive documentary, with tours featuring audio narration from BBC presenter Lauren Laverne, producer Giles Martin and Abbey Road Head of Audio Products Mirek Stiles, with introductions from Dean Lennox Kelly.